My new book, co-authored with Jason Clemens and Niels Veldhuis, is out! 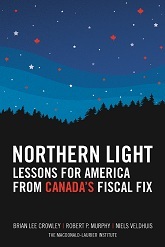 I will be talking about The Canadian Century: Moving Out of America’s Shadow, at the GTA launch party in Toronto on May 25, at an event sponsored by Bennett Jones and chaired by Allan Gotlieb. The invitation is below. To RSVP, please click here.